Come build the foundations of freedom with us. At Acton University, explore the intersection between faith and free markets. 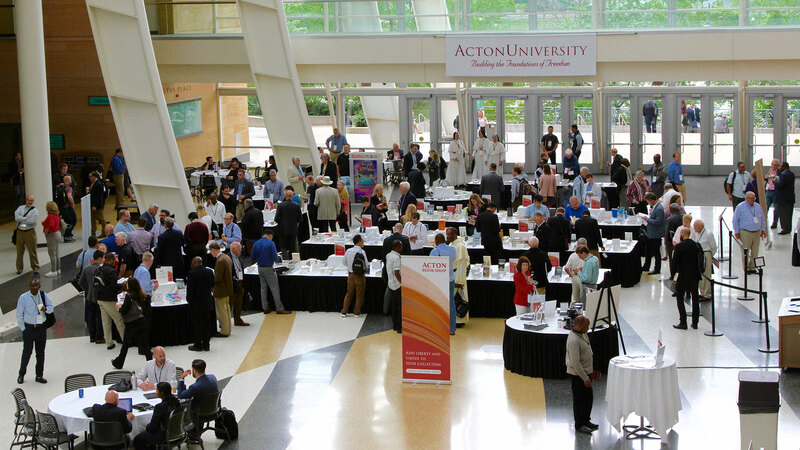 Acton University is not your typical conference. It’s a four-day celebration with 1,000 of your newest liberty loving friends from all over the world. Each day is packed with thought-provoking presentations on the intellectual foundations of a free society. Sharpen your intellect. Expand your worldview. Explore theology, philosophy, business, development, and market-based economics at the most unique conference in the liberty movement. We’ve brought together some of the world’s leading thinkers and teachers in theology, economics, philosophy, development, business, and intellectual history. Acton University faculty will challenge and inspire you. Andrew D. Graham, Esq. leads First Liberty Institute’s policy and education initiatives. He is also responsible for building coalitions with allied organizations and individuals across the country. Acton University only happens once a year. Don’t miss your chance to learn, network, and have fun at the most unique faith and free market conference in the world! Acton University is more than a conference. The ideas you learn here shape your future thinking and action. The people you meet here become part of your journey—as mentors, friends, collaborators, and partners in promoting a free and virtuous society. "There is no experience like it to enrich participants' minds, providing them with the requisite arguments and spirit in defending free markets and religious liberty." "I could describe this four-day experience as an intellectual spa." "I truly loved it: the speakers were phenomenal, the fellowship with people from round the world so sweet, the conference well organized, and the hospitality impeccable."